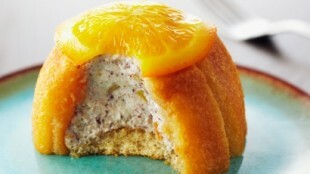 In episode Candied Orange Peel of TV show Bake with Anna Olson prepares Anna Olson recipe for Individual Cassatas with Candied Orange Slices. 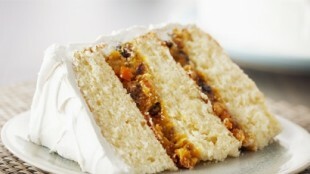 In episode Candied Orange Peel of TV show Bake with Anna Olson prepares Anna Olson recipe for Classic Fruitcake. 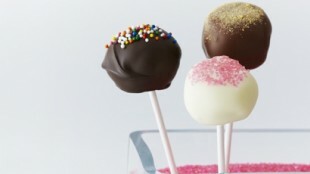 In episode Cheesecake of TV show Bake with Anna Olson prepares Anna Olson recipe for Cheesecake Pops. 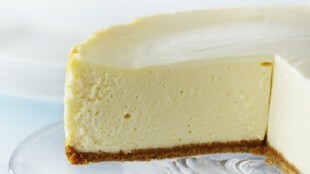 In episode Cheesecake of TV show Bake with Anna Olson prepares Anna Olson recipe for Key Lime Cheesecake. 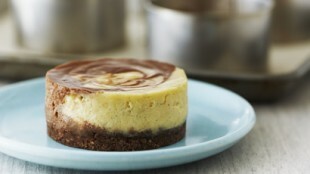 In episode Cheesecake of TV show Bake with Anna Olson prepares Anna Olson recipe for Individual Chocolate Swirl Cheesecakes. 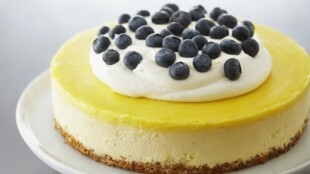 In episode Cheesecake of TV show Bake with Anna Olson prepares Anna Olson recipe for Classic New York Cheesecake. 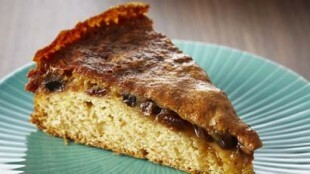 In episode Coffee Cakes of TV show Bake with Anna Olson prepares Anna Olson recipe for Butter Tart Coffee Cake. 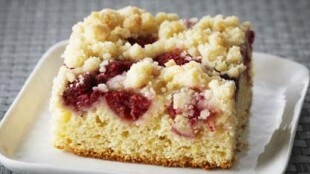 In episode Coffee Cakes of TV show Bake with Anna Olson prepares Anna Olson recipe for Raspberry Ricotta Buckle. In episode Coffee Cakes of TV show Bake with Anna Olson prepares Anna Olson recipe for Sour Cream Pecan Coffee Cake. 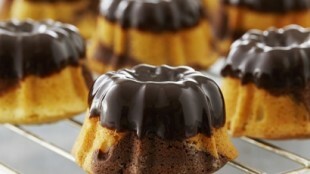 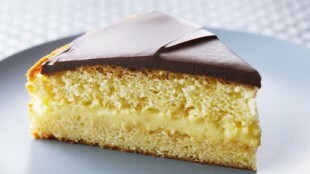 In episode Doughnuts of TV show Bake with Anna Olson prepares Anna Olson recipe for Anna Olson's Boston Cream Pie. 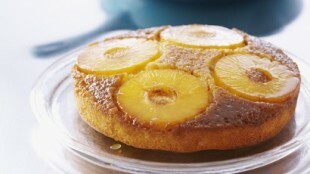 In episode Upside Down Cake of TV show Bake with Anna Olson prepares Anna Olson recipe for Classic Pineapple Upside Down Cake. 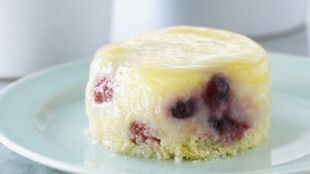 In episode Upside Down Cake of TV show Bake with Anna Olson prepares Anna Olson recipe for Lemon Berry Saucing Cakes. 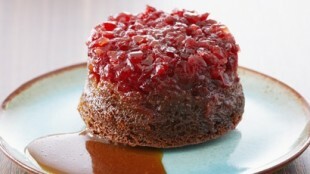 In episode Upside Down Cake of TV show Bake with Anna Olson prepares Anna Olson recipe for Brown Butter Cranberry Gingerbread Cakes with Brown Butter Caramel Sauce. 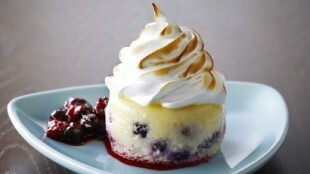 In episode Upside Down Cake of TV show Bake with Anna Olson prepares Anna Olson recipe for Lemon Berry Meringue Cakes with Bumbleberry Sauce. 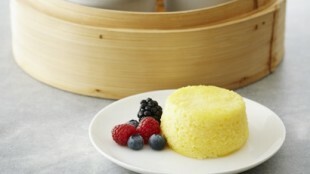 In episode Steamed Puddings of TV show Bake with Anna Olson prepares Anna Olson recipe for Steamed Lemon Soufflé Cakes. 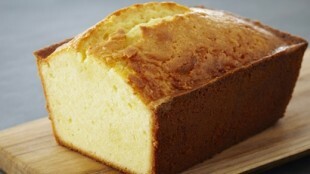 In episode Pound cake of TV show Bake with Anna Olson prepares Anna Olson recipe for Classic Lemon Pound Cake. 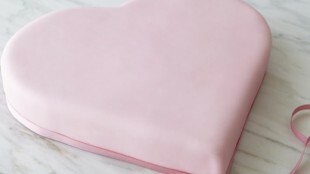 In episode Pound cake of TV show Bake with Anna Olson prepares Anna Olson recipe for Fondant Covered Heart Cake.